Many Fort McMurray firefighters, unable to wear their usual air masks while battling a giant wildfire that attacked the northern Alberta city, are being screened for health problems because they spent several days breathing in hazardous smoke. 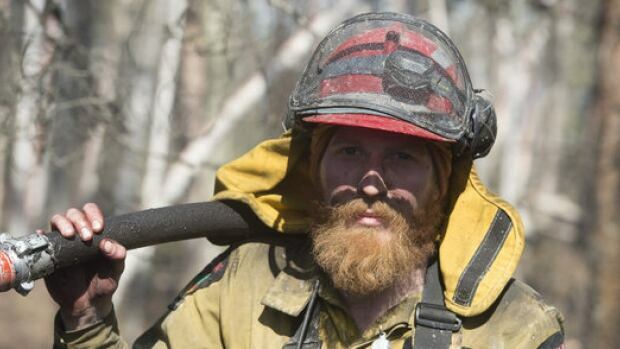 Some of the 180 crew have developed a persistent cough, says firefighter Nick Waddington, president of the Fort McMurray branch of the International Association of Fire Fighters. Results of lung and blood tests will be private. But Waddington predicts the firefighters will need ongoing support and possible treatment for serious illnesses over the next 10 to 20 years. "Realistically, a lot of our guys, their lives are going to be shortened because of this incident," Waddington says bluntly. "When you compound that with everything that we're going to have in our careers, we're definitely going to be in a high risk." The fire spread into the oilsands capital on May 3 and forced more than 80,000 people to leave. It destroyed roughly 2,400 homes and other buildings — about one-tenth of the city. Firefighters were credited with saving the rest of the community. Health concerns are emerging for firefighters who battled the massive wildfire which engulfed the northern Alberta community in early May. Municipal crews were assisted in the following days by firefighters from other communities and wildland firefighters from across Canada and other countries — about 2,200 in all. "We would have been out there for long periods of time sucking in the smoke,"
But the hometown crew was there first, working around the clock, when the forest fire morphed into an urban blaze and moved from timber to buildings with toxins in vinyl siding, treated lumber and furniture. Firefighters "would have been out there for long periods of time sucking in the smoke," says Fort McMurray fire Chief Darby Allen. He explains that municipal firefighters normally wear a self-contained breathing apparatus. 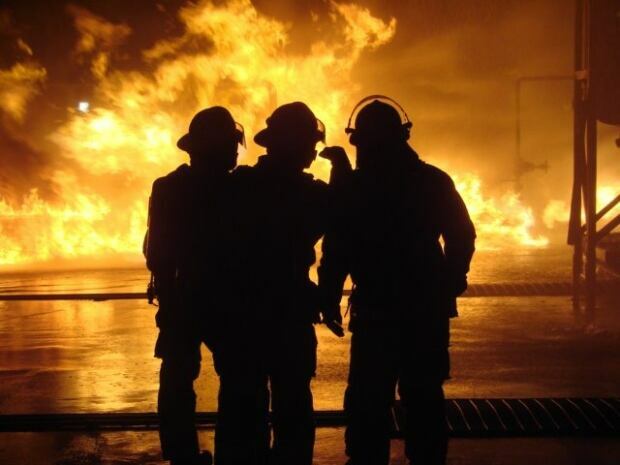 The air in the tanks might last up to an hour — enough time for going into a single house fire, but not for a marathon shift fighting flames consuming hundreds of homes. "We didn't have time to get back to the hall to charge (the tanks)." Forest crews sometimes wear particulate filter masks. Waddington says those P100 masks aren't stocked in large numbers at municipal fire stations. Pallets of them arrived a few days after the fire raced into the city. But wearing such masks is a "double-edge sword," Waddington says. The filters make it harder to breathe and can get plugged. And the half-masks can cause safety glasses and visors to fog, says Jamie Coutts, fire chief of Slave Lake, Alta. "How do you wear that for six days?" he says. Coutts and 13 Slave Lake firefighters helped during the initial days of the Fort McMurray fire and he says he didn't get a filter mask. "I'm a firefighter. I've got a better-than-average chance of dying of cancer. It is what it is." He also didn't have one during a forest fire that spread into his town in 2011 and destroyed about 400 buildings. In the months after that fire, members of the Slave Lake crew developed chest infections and nose and throat problems, Coutts says. He was diagnosed with asthma and later lung sarcoidosis, although he says the disease can't be directly linked to the fire. After Coutts got home from Fort McMurray, he was coughing and wheezing again and couldn't run up the stairs, he says. Coutts says experts need to come up with a better way to protect crews when forest fires move into urban area. "They're going to have to make better particulate masks." Peter Krich, president of the Alberta Fire Chiefs Association, says his group may look at whether filter masks should be stocked in communities in forested areas. The Fort McMurray fire was unusually large, Krich points out. "You're not just fighting one fire. You're fighting two fires, three, four, five ... It was going on and on and you could never stop." The challenge, he says, is that firefighters will do whatever it takes without thinking of their health. "We have to learn," he says. "Hopefully we can ... be more prepared or help each other better in the event of something of this nature happening ever again."